Click on the image to watch a presentation of Røros. Join us for a four days orienteering competition in terrains nearby the World Heritage Site Røros, in the northeastern part of southern Norway. 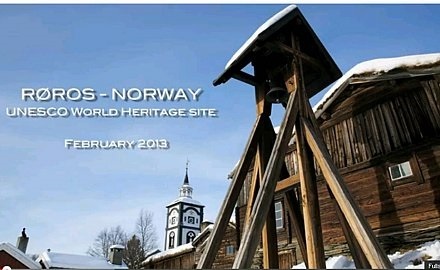 Click here to read more about Røros. Thursday 30. June: Sprint distance in the village of Røros. Organizer: Røros IL. Interval start. Friday 1. July: Middle distance in mountainlike terrain close to the village of Røros. Saturday 2. July: Middle distance at the crosscontry skiing arena Holden, 25 kilometers north of Røros. Organizer: Ålen IL. Interval start. Sunday 3. July: Long distance, at the same arena as Saturday. Organizer: Ålen IL. Chasing start. Further information is to be announced.